The dictionary is a tool that any writer or student should have on their computer. And Linux users are not immune from this need. But if you look through the possibilities of Linux dictionary tools you find quite a large amount available. Which of these tools are the best or easiest to use? I have found, outside of using an application's built-in spell checking, two particular tools that I prefer. 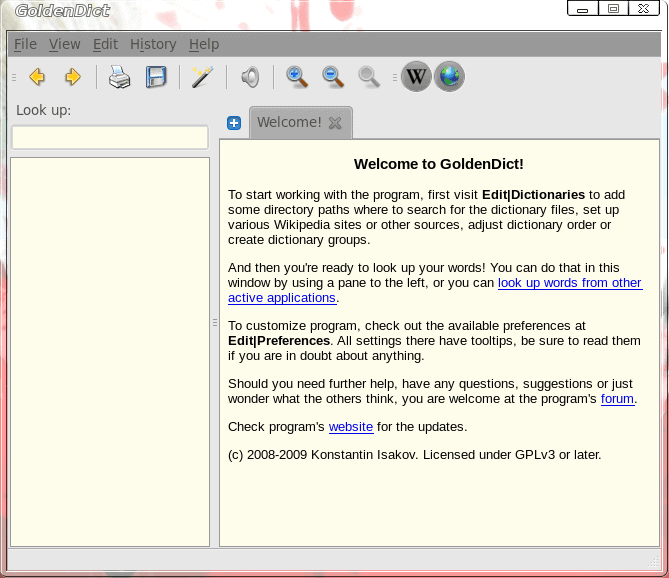 These tools are GoldenDict and Dict. The former is a splendid GUI tool, whereas the latter is a lightning-quick command line tool. Let's see which of these tools suits your needs best. 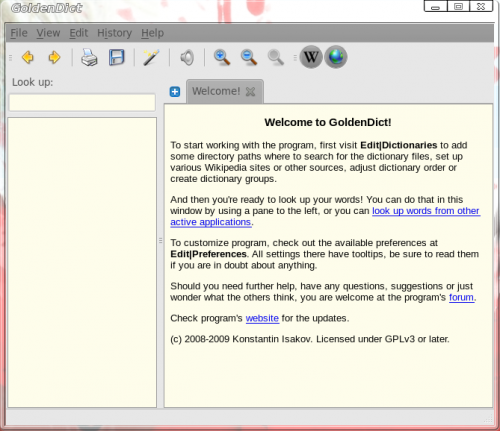 GoldenDict is a feature-rich graphical dictionary program that allows the user to take advantage of multiple local dictionaries as well various on-line dictionaries. It's easy to use and actually works in conjunction with other applications. Search for "goldendict" (No quotes). Once installed, you will find GoldenDict in the Applications > Office menu. When you fire up GoldenDict you will the main window where you can take care of all of your lookups (see Figure 1). The usage is fairly straight-forward. You enter your word in the "Look up" text area and hit Enter. The results will appear as the disambiguation in the left pane and the actual definition in the right pane. Now...let's say you want to extend GoldenDict out to your other applications. If you click on Edit > Preferences and then click on the Scan Popup tab you can enable GoldenDict to work on any text you highlight in any application. I will warn you...this can get in the way of every day use. To that end I always enable this feature but enable it along with the "Only show popup when all selected keys are kept pressed". With this feature you can configure a key (either Alt, Ctrl, Shift, or Meta) that must be pressed along with the word selection. When this combination is done a popup will appear definining the word. Issue the command sudo apt-get install dict (or a suitable command for your distribution). Where WORD is the word you want to look up. You would then be rewarded with the definition of the word in question. I am a big fan of Artha, an offline dictionary, that is similar a Windows dictionary called WordWeb. It’s fast, works well and is very stable. I’m a fan of kdict, which sits in the KDE’s 3.5 branch panel. I noticed that dict.org is not responding a few weeks ago. As a work around, I suggest installing your own server. (Its successor kding is missing this feature but brings basically a more modern UI). It’s pretty young and written in Ruby.